by William F. Supple, Jr., Ph.D. 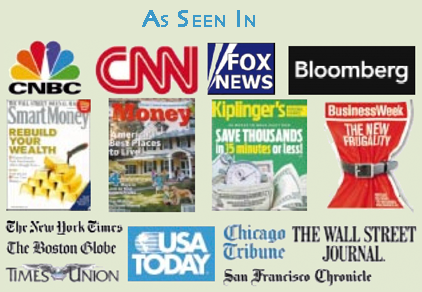 This is the book written about in Money Magazine, The Wall Street Journal, The New York Times, Chicago Tribune, Home Magazine, Smart Money, Moneysworth, Kiplinger's Personal Finance, Mortgage Originator and Good Housekeeping among others. Based on 25 years of direct for sale by owner real estate experience this book teaches you how to join the ranks of smart homeowners who are easily selling their own property and greatly improving their personal financial position. 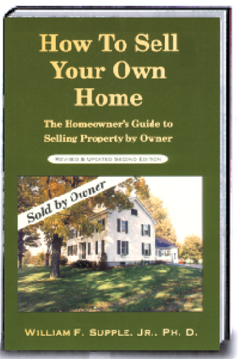 Written by the publisher of a for-sale-by-owner real estate magazine (Picket Fence Preview), the book shares the expert knowledge gained from helping tens of thousands of homeowners sell their own real estate. This unique book is based on practical, real-life experience that translates into results, and will help you save a bunch of money on real estate commissions. Also contains many helpful charts, checklists and sample forms and contracts to help you get organized and stay on track. Here’s what the reviewers are saying about this new and unique book! “...for a zillion tips on how to sell your own home get Supple’s book!”-- Jane Bryant Quinn, nationally syndicated Personal Finance columnist. “...It’s a great book!” -- Ken Dolan. Host of Smart Money with the Dolans, nationally syndicated radio show. “This book can change your life by teaching you a skill that will save you thousands & thousands of dollars.” -- Sue Herrera, host of Money Tonight, CNBC. Did you know that having a map in your ad could delay your sale? Do you know the optimal number of photos to show in an ad? And that the wrong amount of photos may delay or even thwart your sale? Do you know how agents know when you're vulnerable to listing and what tactic they use when they close in for the 'kill'? It’s your house, shouldn’t it be your money too? Empower yourself with the knowledge needed to sell by owner from this book, and free yourself from real estate brokers forever! $17.95 plus S/H and sales tax. FREE to all Picket Fence Preview advertisers.